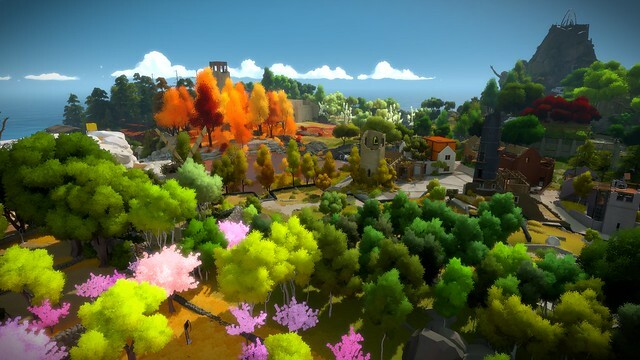 We finally know the release date for The Witness: it’s January 26, 2016. That’s about four months from now, and it will be a very busy four months as we work hard to make the game the absolute best we can. We’ll be very happy to get the game out into the world, because we’ve been working on it a long time! We originally thought The Witness would be coming out toward the end of the PS4 launch window, but … there’s just been a lot to do. I think when the game is in your hands, you’ll find it to be intricate and deep, and also unlike anything else you have played. There’s a lot here. When we started making this game, I figured it would have between 8 and 12 hours of playtime. As it happens, the game we’ve finally built is around 10 times as big as that: if you are a completionist who wants to wring every last drop out of the game, you might expect to play for 80 hours, or possibly 100. For people who don’t want to go quite that far, the game’s still got plenty for you. As you can see, we have not been idle! But those numbers will only increase a tiny bit between now and release. For the most part we are fixing bugs, refining the feel of play, and making sure everything is just right for January. That’s all from me for now — back to working on the game! 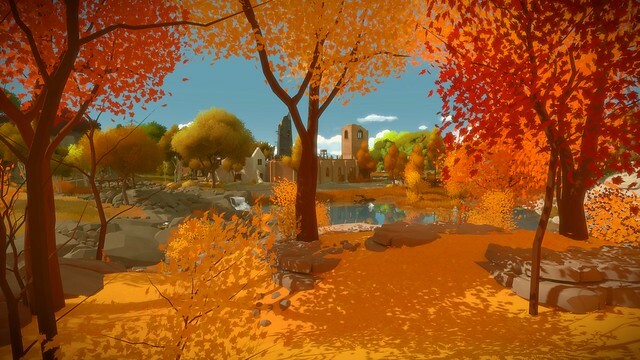 — but your fine PS.Blog host Justin has been playing the preview version of The Witness and will be sharing his impressions soon. This is one of the game I really want to get when PS4 came out. Glad that you all finally going to release it! Sweet I’m really excited for this now! Nice trailer. Looks really good. And that track in the trailer sounds insanely good. Can’t wait. P.S. Intriguing trailer, too! I’m loving the direct (and indirect) imagery throughout. I am ready for this. Any word on pricing? We are still figuring out pricing as well as the possibility of a physical retail release in addition to the download. As we know these things for sure, we will let you know! Great! I’ve been really looking forward to playing this. Hopefully there will be an option to pre-order so I can pre-load the game, since my internet is a bit slow. Looking and sounding beautiful, can’t wait! I’ve been checking in on this game every few months. It looks beautiful, and I’ll definitely pick it up at release! Happy day! I’ve been looking forward to this for quite some time. Beautiful! 2016 is shaping up to be the year of Playstation! Can’t wait to play it. I *must* own this.. I’m so grateful for the imminent release! I hope that PSVR support is incoming! Suuuuper stylish, what a looker. Exciting news! I could not be more excited for this game. Wish it was coming sooner, but I’m glad the team is taking the time to deliver even more than I originally expected. So pretty! Really looking forward to this. Would’ve really loved to end this year with The Witness and No Man’s Sky. Disappointing. We can afford to wait a little bit longer if it means the game will be better polished, though. Well… I was certainly hoping we’d see this sooner than next year. However, I understand and respect the amount of work that’s gone into this game. Can’t wait to play! There was a possibility of us squeaking the game in this year, but we wanted to give ourselves enough time to make sure everything is just right, even if emergency surprises happen. It would be a shame if, after spending so much effort working on the game, something got messed up due to a last-minute surprise. We want to get the game out to everyone as soon as we can! So glad you’re waiting. I’d rather have devs take their time and deliver a great product out the gate than to release some half-baked mess just to hit a deadline. This is easily one of my most anticipated games of 2016. I just want to wander around the world for hours on end. It’s gorgeous. Keep up the amazing work! I know it’s a bit early to discuss this but, it seems to me that playing this game with Playstation VR (former Project Morpheus) would be MIND-BLOWING! Have you ever performed any test with the VR prototype? Cheers. +alexRSBR I second the desire for PSVR support. It would be a HUGE selling feature for the game as there are relatively few AAA quality games supporting the platform. 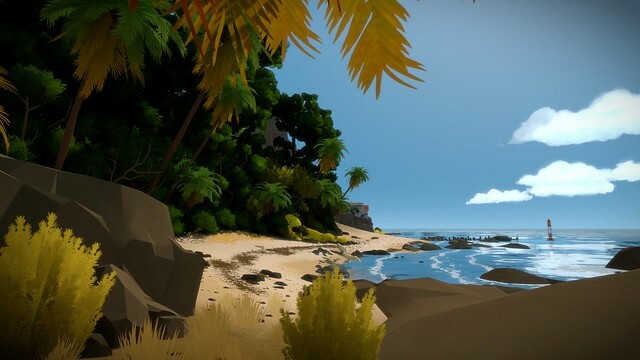 I am buying the Witness regardless, but I would this type of slower-moving game is a GLOVE fit for VR! @ glassmusic – Agree 100%. I so glad to see a release date on this title. This was always a day for me for sure. Excellent, I’ve been patient with this. Good to hear you guys have the finish line in your sights! I will pay 60 for this. You and me both! I can’t wait for both The Witness and The Talos Principle (w/ included Gehenna expansion!!). FINALLY! I’ve been waiting since the PS4 launch for this game. So excited!! You and me both! I can’t wait for The Witness!!! Looks interesting, might get it. Neat anagram! I hope we can preorder soon. Wish this game would let you see the character you were controlling but it doesn’t look like it… feels so awkward to me. But glad to see people are excited for it, it looks really cool. Like the aesthetic. I won’t be buying because of the above, but I hope it succeeds as I think it’s a good venture. This seems like such a wierdly specific reason to dismiss a game… I like seeing my character model too, but not all games should do that. I feel like that wouldn’t be appropriate here. It’s not a character-based storyline (as far as I know). You don’t want a depicted character distracting you from your own role in the game. 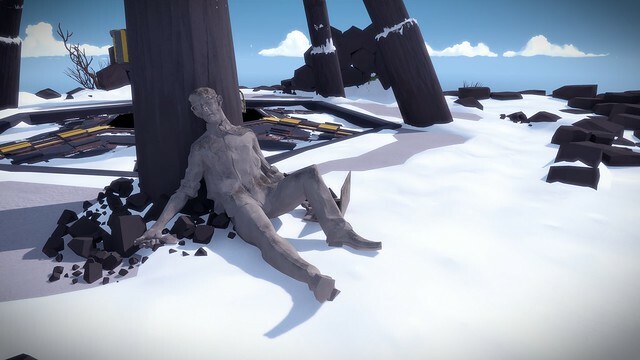 @GranpireV First person games leave me with a strange disconnect that makes it impossible for me to feel any connection to the story, the character, or the world. no connection means no enjoyment for me… so first person = not worth my money. I think every game SHOULD offer that option, because you’ll NEVER be able to make me feel like it’s me in the game(at least not until we reach SAO levels of technology) so you might as well give me a character to connect to. Nice trailer, still curious about the world and how the puzzles actually link to it. Looks nice, been waiting for it, and finally some news! Good, four months gives me plenty of time to master my creation skills in Mario Maker. And also to save up money for a PS4…. I appreciate the perfectionism on the development of this game, I’m sure it will be quite the special experience for many. Hoou great news,this was one game I thought it was dead…like its been a very long time since we last heard about it. But looks like the wait was worth…not only we get a release date but damn you said 100h of gameplay for people who like to wring every last drop out of the game?…well I can safely say I’ll surpass those 100h. 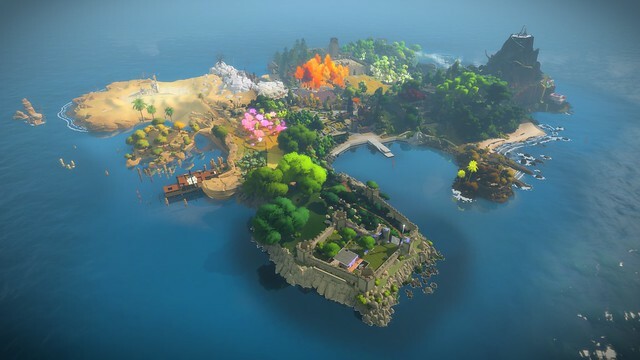 My interest for The Witness has just grown a lot. PS:Dem graphics look truly beautiful…nice job. Man the visual look astounding! Imagine what you can do with this visual to Jak and Daxter 5 and/or Sly Cooper 5. C’mon PlayStation, we want Jak 5 and Sly Cooper V! Incredibly excited for The Witness! Is that the Tallywood String Quartet I hear in the trailer?